In this session. 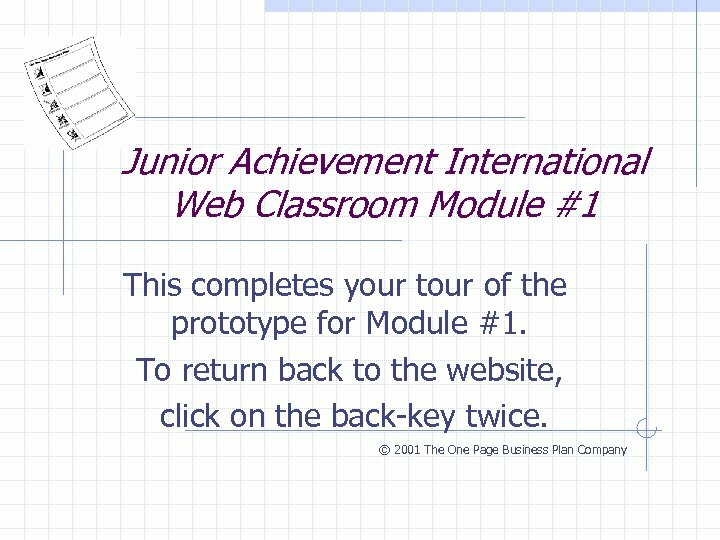 . . • We will walk you through an overview of the One Page methodology. 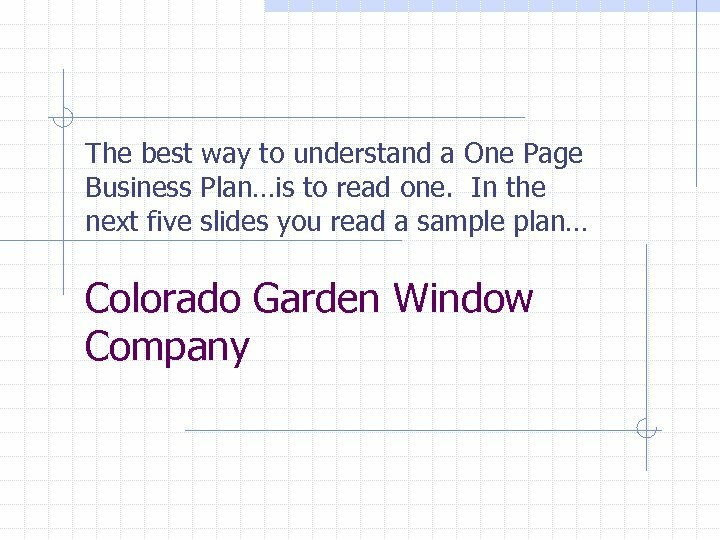 • We will show you how this powerful document can be used in many different business and professional situations. 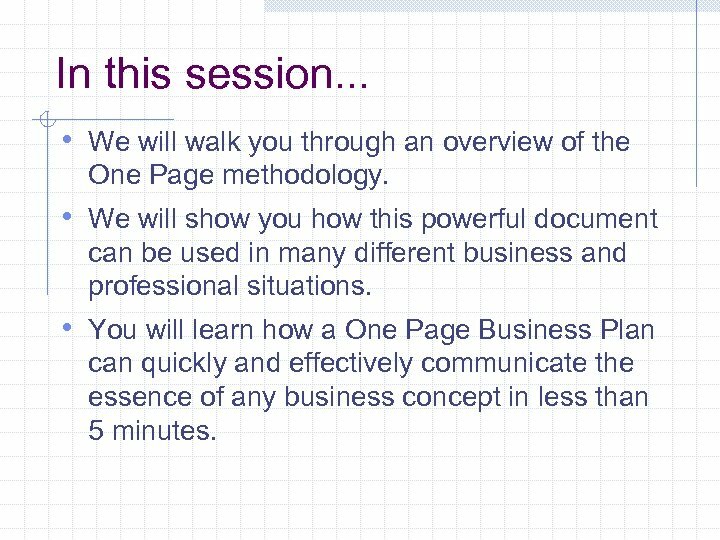 • You will learn how a One Page Business Plan can quickly and effectively communicate the essence of any business concept in less than 5 minutes. 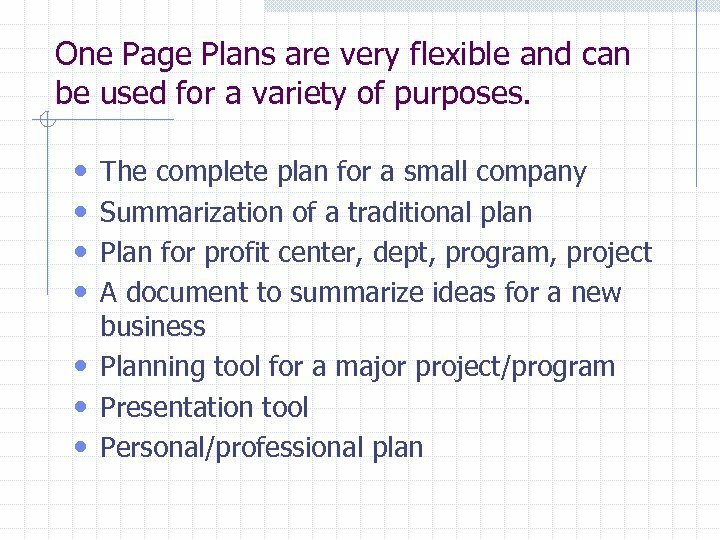 What is a One Page Business Plan®? 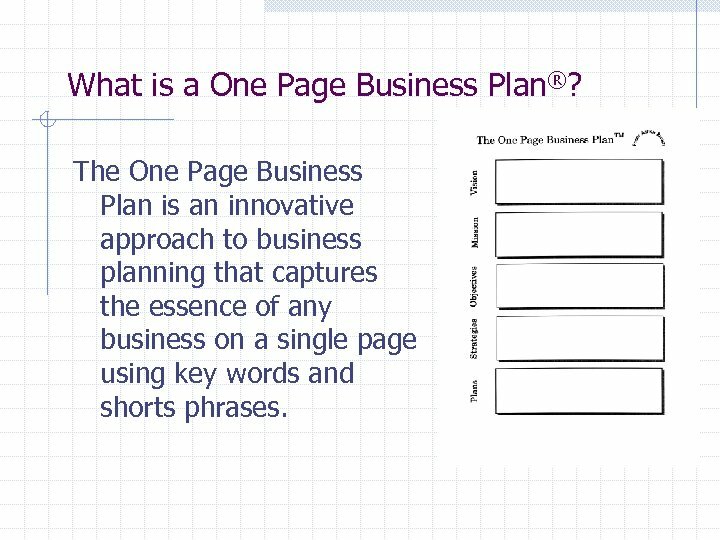 The One Page Business Plan is an innovative approach to business planning that captures the essence of any business on a single page using key words and shorts phrases. 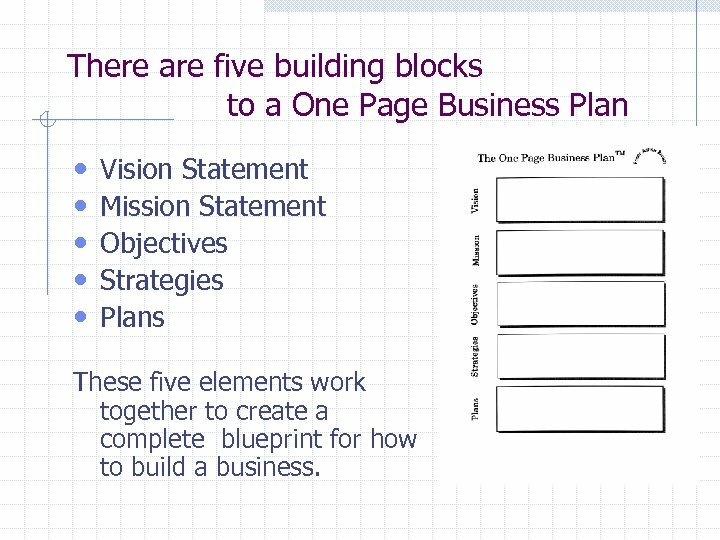 There are five building blocks to a One Page Business Plan • • • Vision Statement Mission Statement Objectives Strategies Plans These five elements work together to create a complete blueprint for how to build a business. 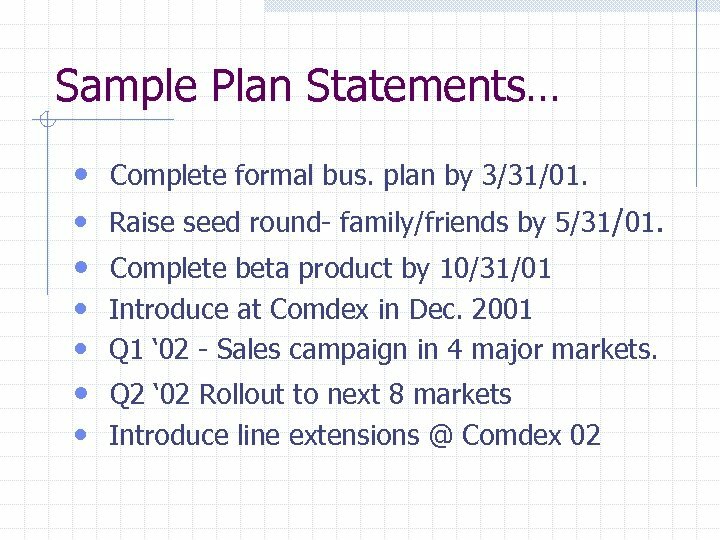 Business Plan terms can be very confusing. 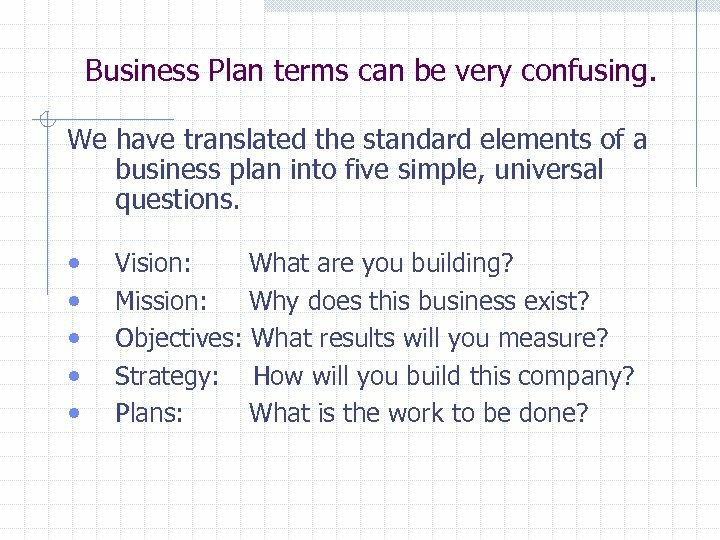 We have translated the standard elements of a business plan into five simple, universal questions. • • • Vision: What are you building? Mission: Why does this business exist? 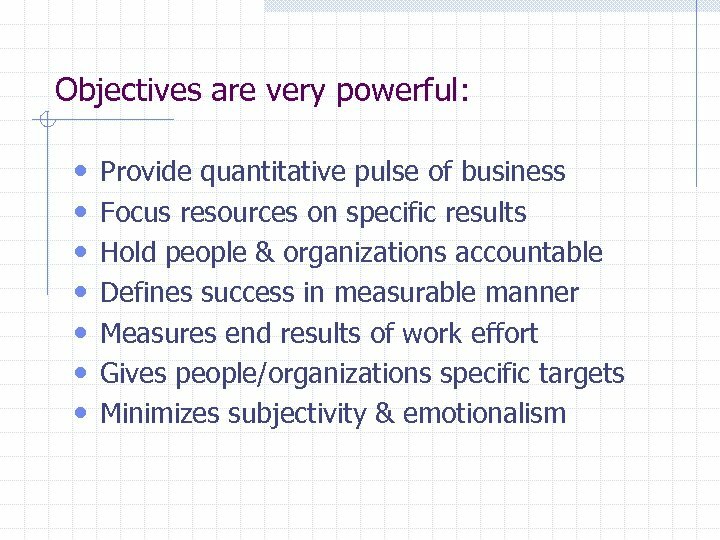 Objectives: What results will you measure? 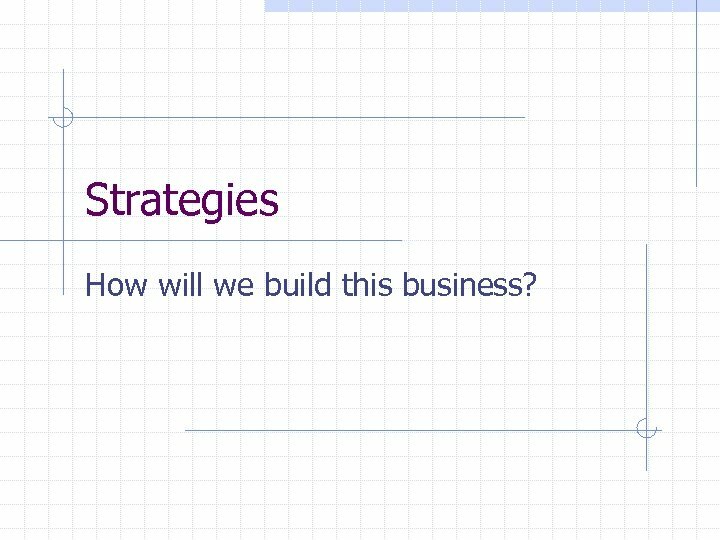 Strategy: How will you build this company? 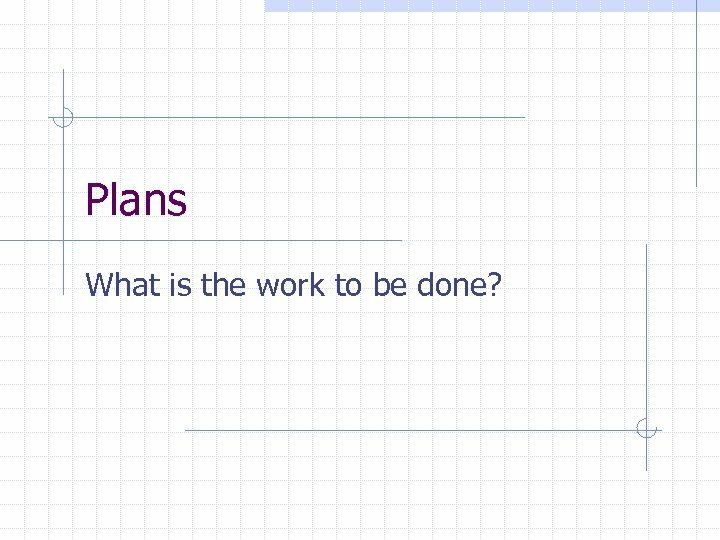 Plans: What is the work to be done? 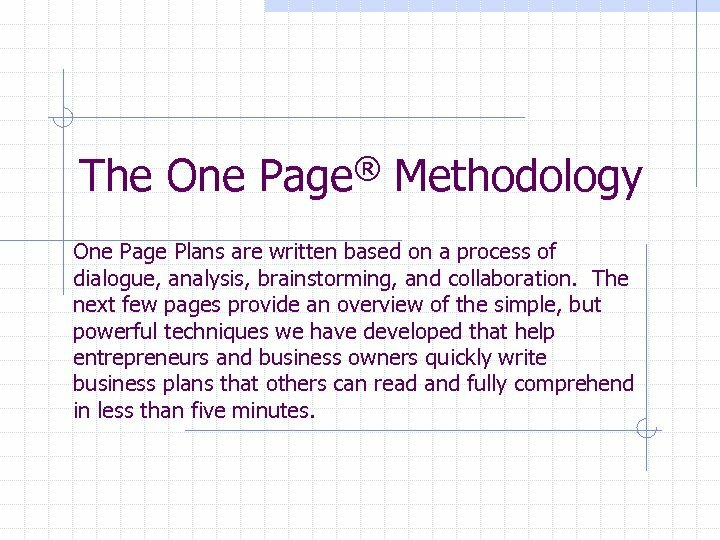 The One Page® Methodology One Page Plans are written based on a process of dialogue, analysis, brainstorming, and collaboration. 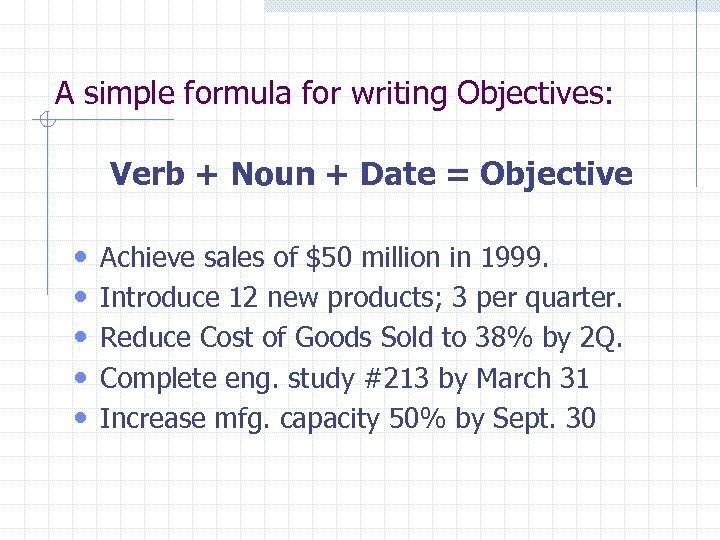 The next few pages provide an overview of the simple, but powerful techniques we have developed that help entrepreneurs and business owners quickly write business plans that others can read and fully comprehend in less than five minutes. 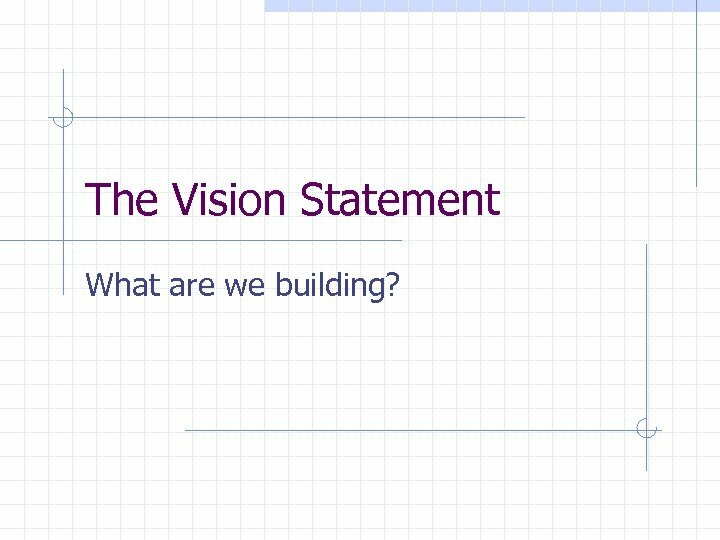 The Vision Statement What are we building? 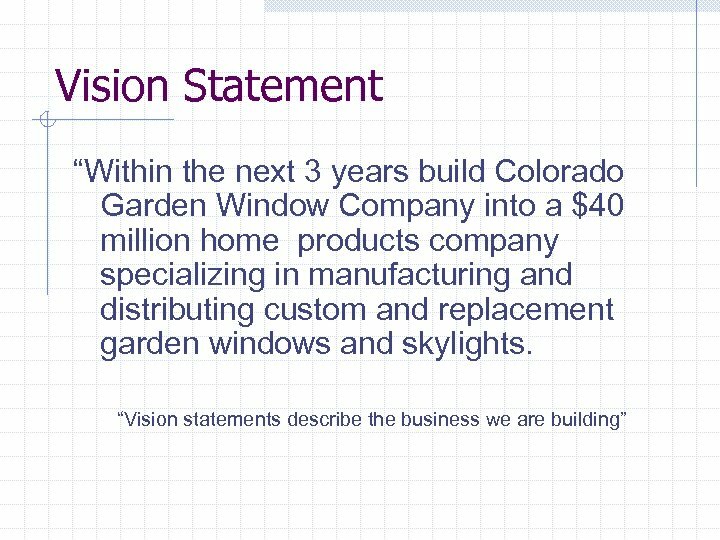 Vision Statements answer these types of questions: • • What will this business look like in 1, 3, 5 yrs? What type of company is this? What markets do we serve? What is the geographic scope? Who are target customers? What are our products and/or services? What sales goal are we striving for? 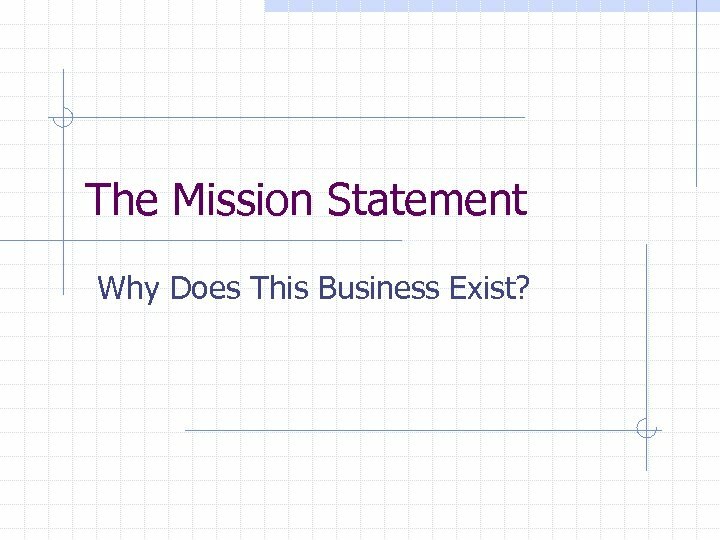 The Mission Statement Why Does This Business Exist? 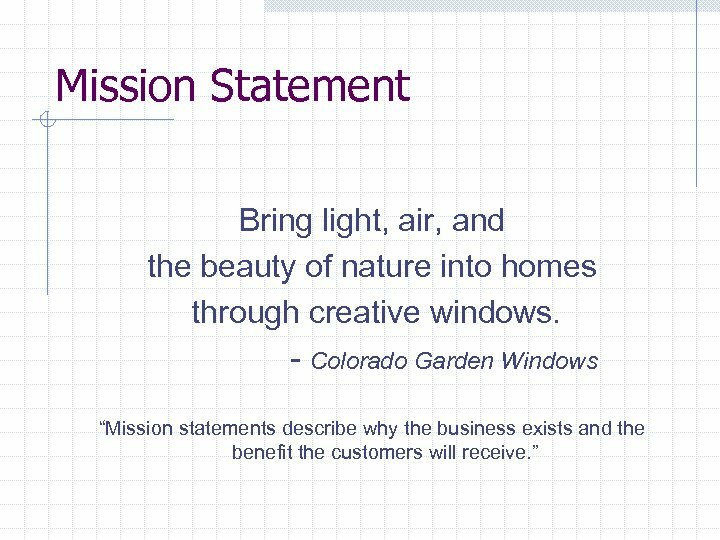 Mission statements answer these questions? 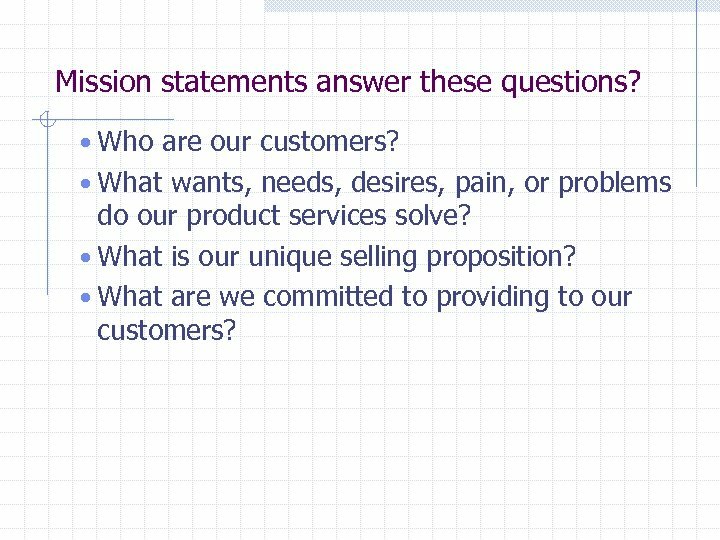 • Who are our customers? • What wants, needs, desires, pain, or problems do our product services solve? • What is our unique selling proposition? 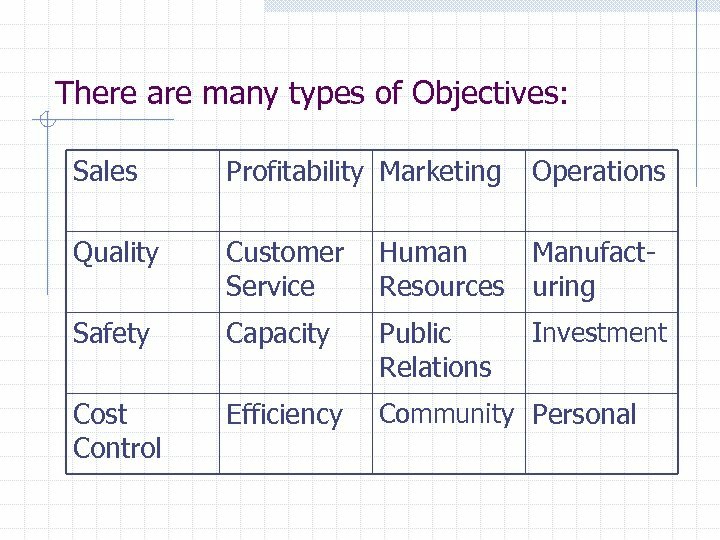 • What are we committed to providing to our customers? Sample Mission Statements Powerful Branding that Catalyzes Action • • Federal Express – The World on Time UPS – Moving at the Speed of Business e. Bay – The World’s Online Marketplace Lenscrafters – Helping people see better one hour at a time. 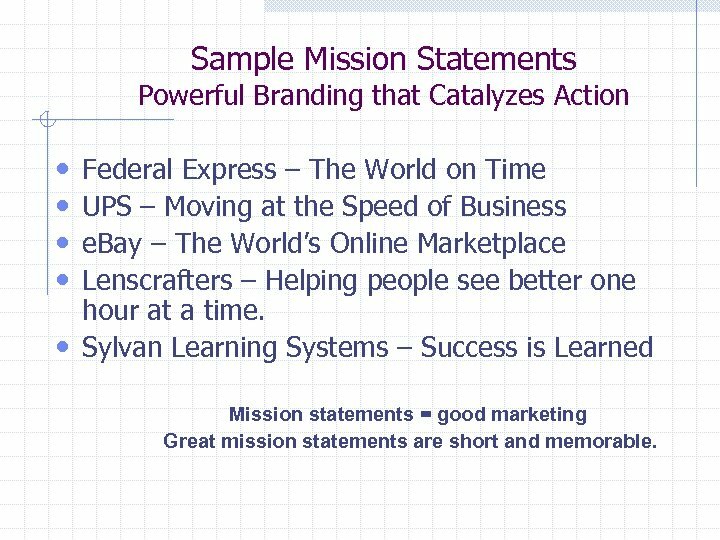 • Sylvan Learning Systems – Success is Learned Mission statements = good marketing Great mission statements are short and memorable. 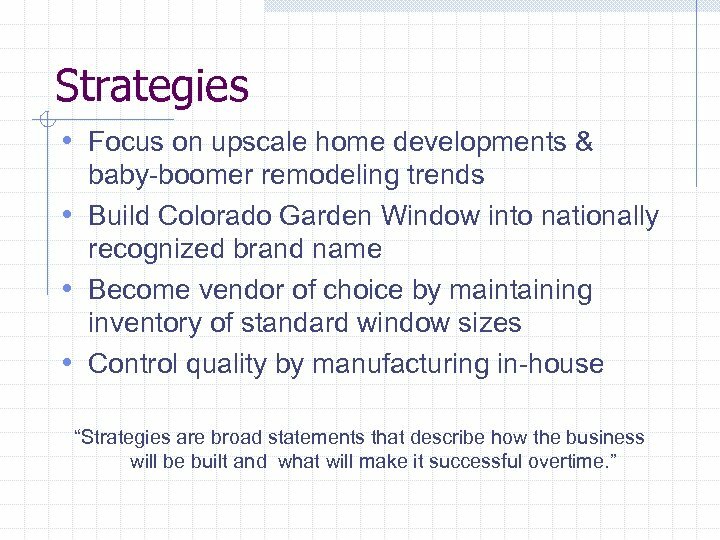 Strategies How will we build this business? 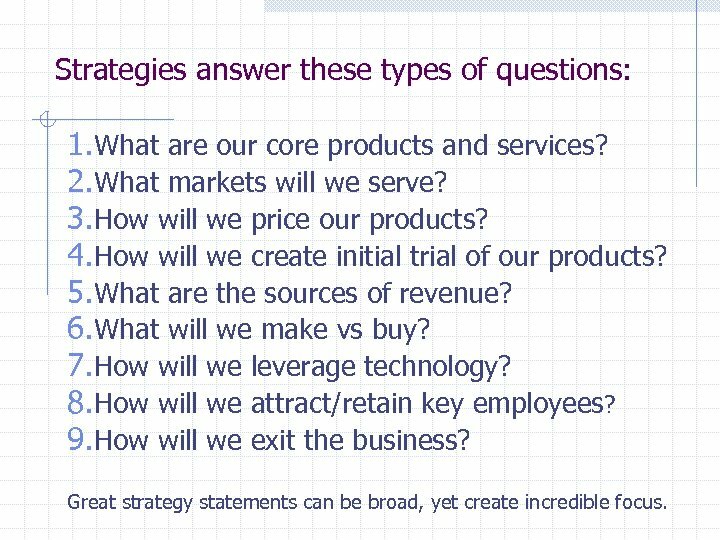 Strategies answer these types of questions: 1. What are our core products and services? 2. What markets will we serve? 3. How will we price our products? 4. How will we create initial trial of our products? 5. What are the sources of revenue? 6. What will we make vs buy? 7. How will we leverage technology? 8. How will we attract/retain key employees? 9. How will we exit the business? 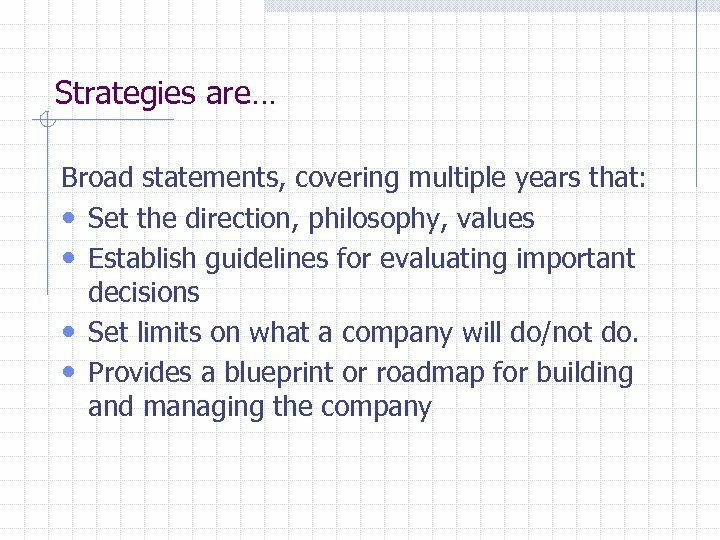 Great strategy statements can be broad, yet create incredible focus. 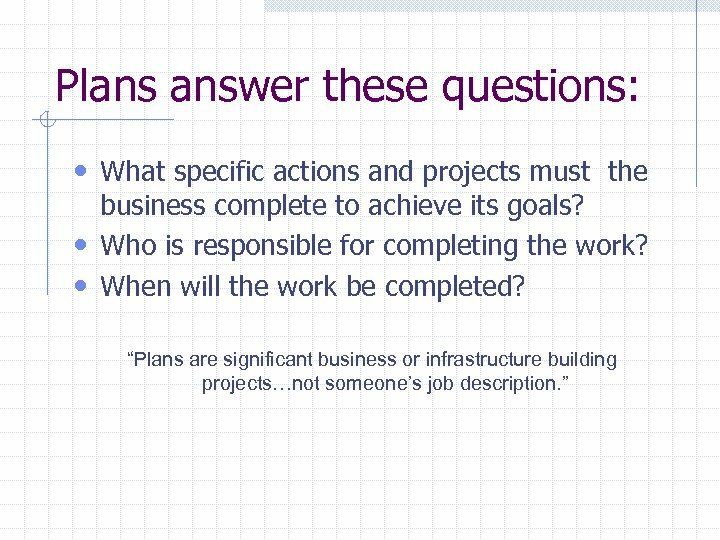 Plans What is the work to be done? 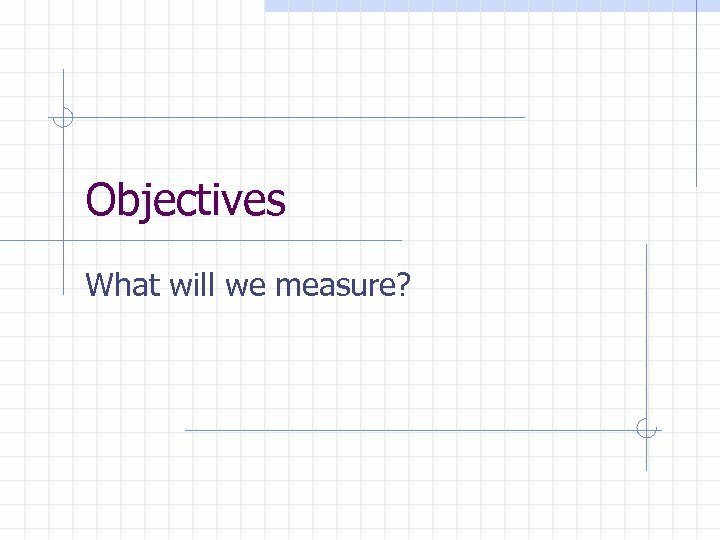 Objectives What will we measure? 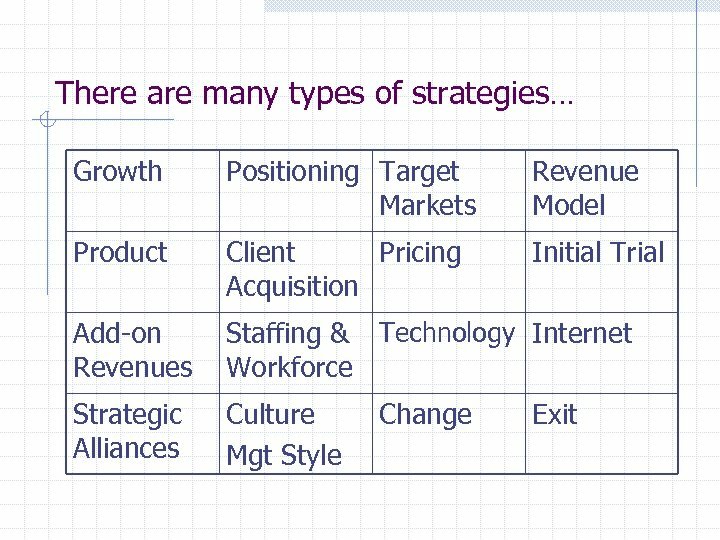 This completes our brief overview of The One Page Business Plan Methodology. 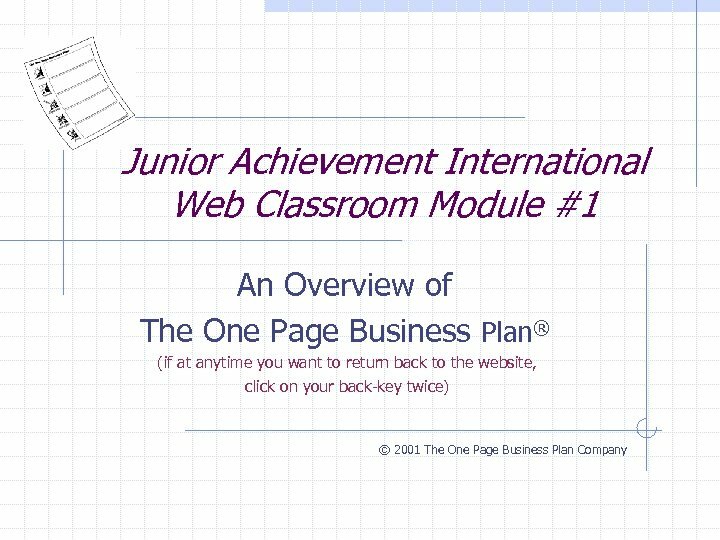 In the Jr Achievement Web Classroom we devote one entire module to learning more about each of the five elements in The One Page Business Plan and how they work together to create a powerful blueprint for building a business. Do not rush the process! 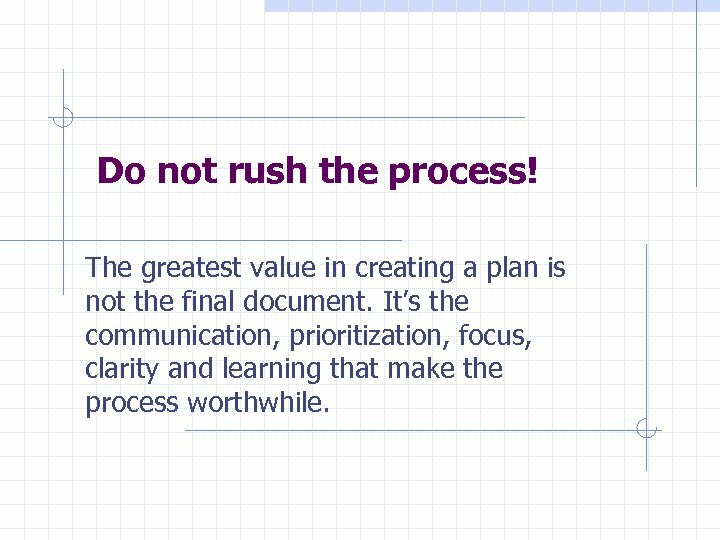 The greatest value in creating a plan is not the final document. It’s the communication, prioritization, focus, clarity and learning that make the process worthwhile. 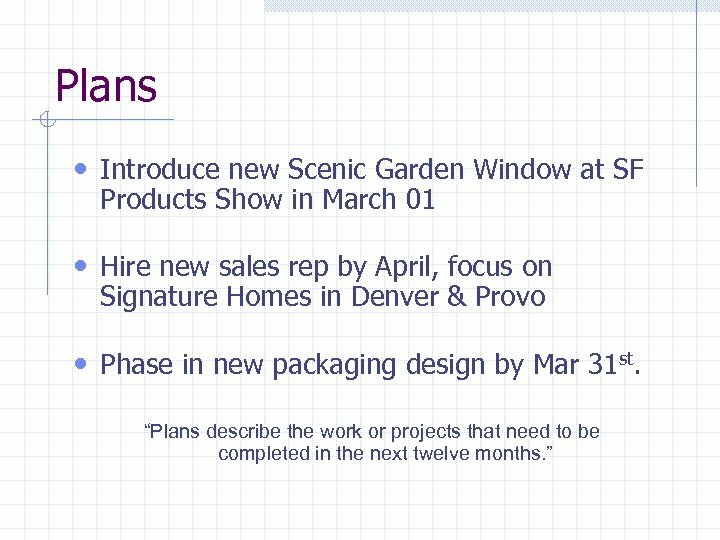 Business Plans Communicate a lot… 1. 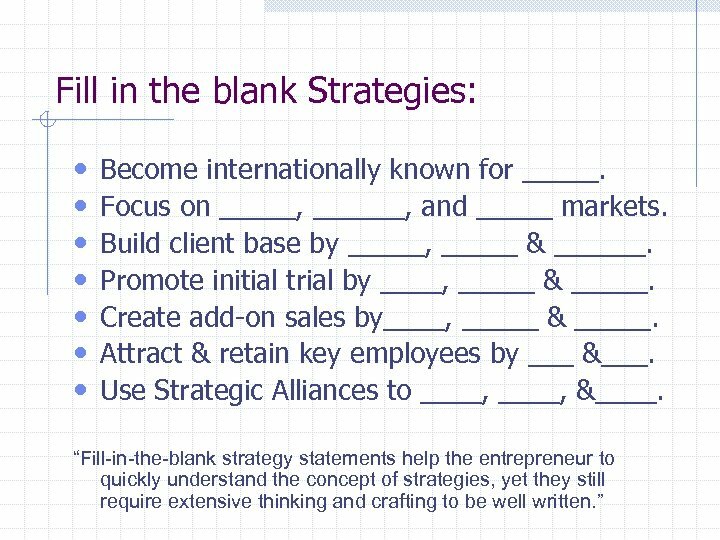 The choice of words and phrases in your business plan speaks volumes about you. Choose your words carefully. 2. 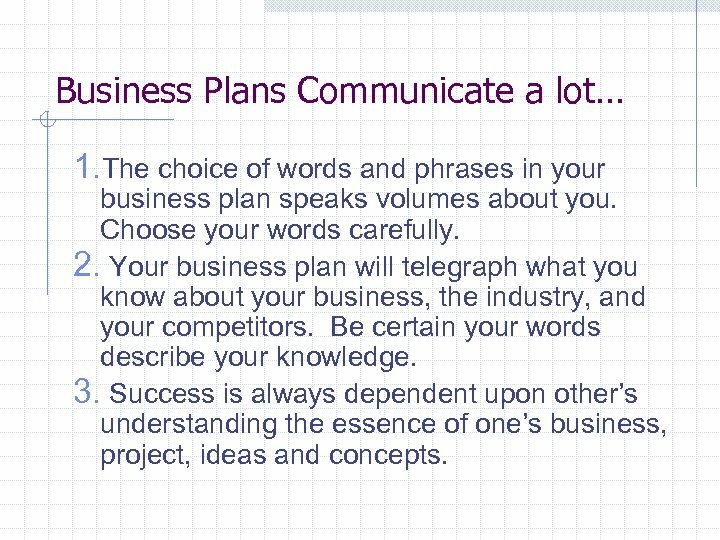 Your business plan will telegraph what you know about your business, the industry, and your competitors. Be certain your words describe your knowledge. 3. Success is always dependent upon other’s understanding the essence of one’s business, project, ideas and concepts. 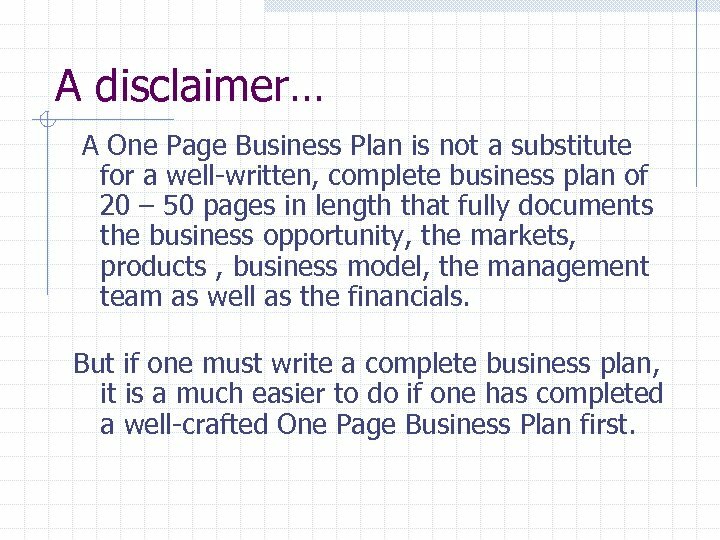 A disclaimer… A One Page Business Plan is not a substitute for a well-written, complete business plan of 20 – 50 pages in length that fully documents the business opportunity, the markets, products , business model, the management team as well as the financials. 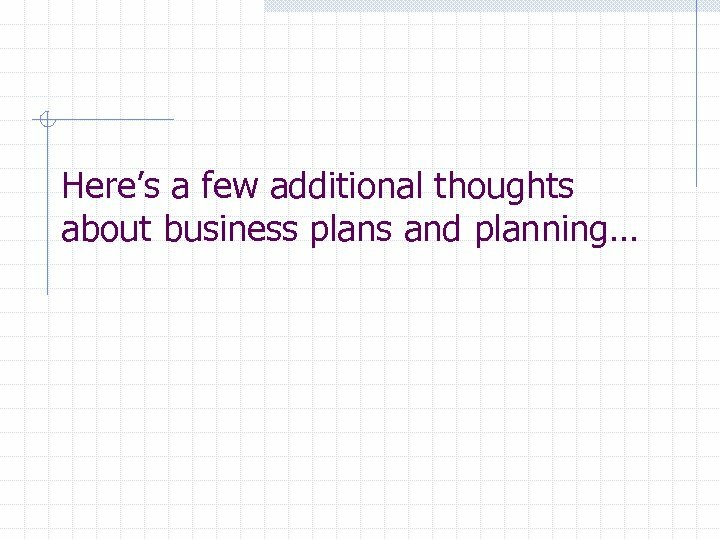 But if one must write a complete business plan, it is a much easier to do if one has completed a well-crafted One Page Business Plan first. 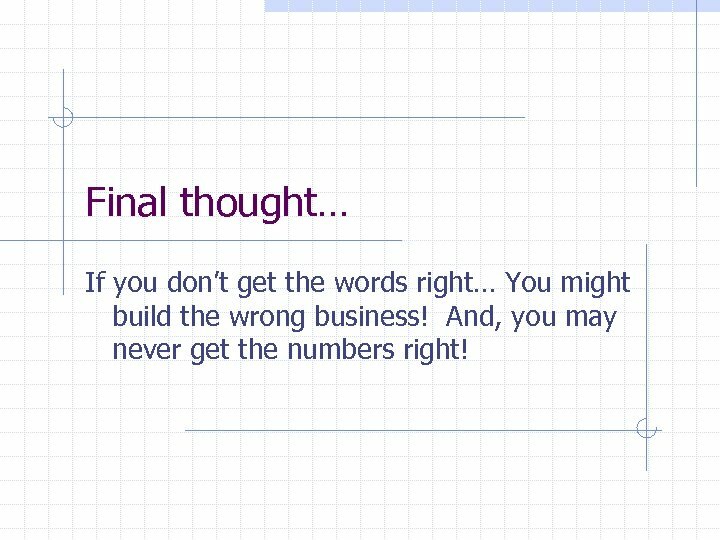 Final thought… If you don’t get the words right… You might build the wrong business! And, you may never get the numbers right!